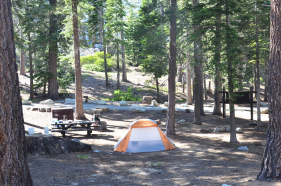 Bayview Campground is located at the trail head for Cascade Falls and Desolation Wilderness (one of several access points to Desolation Wilderness). 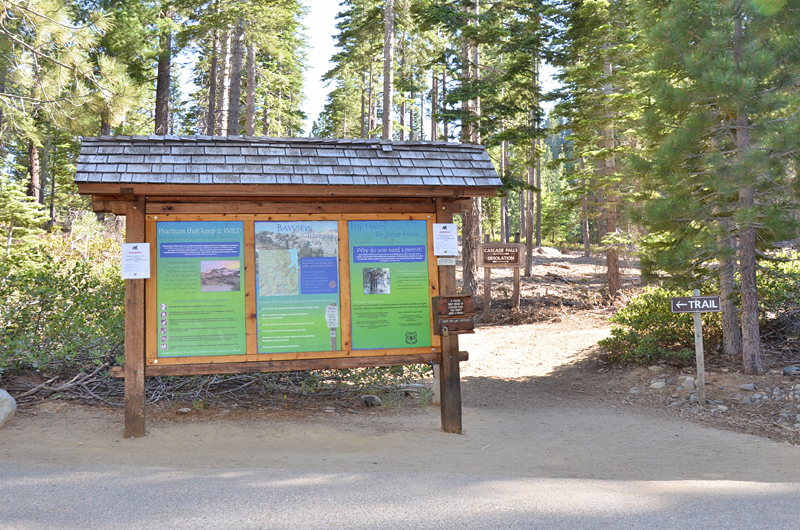 It’s in a great location at the south end of Emerald Bay, but you have to cross the street to take in the views. 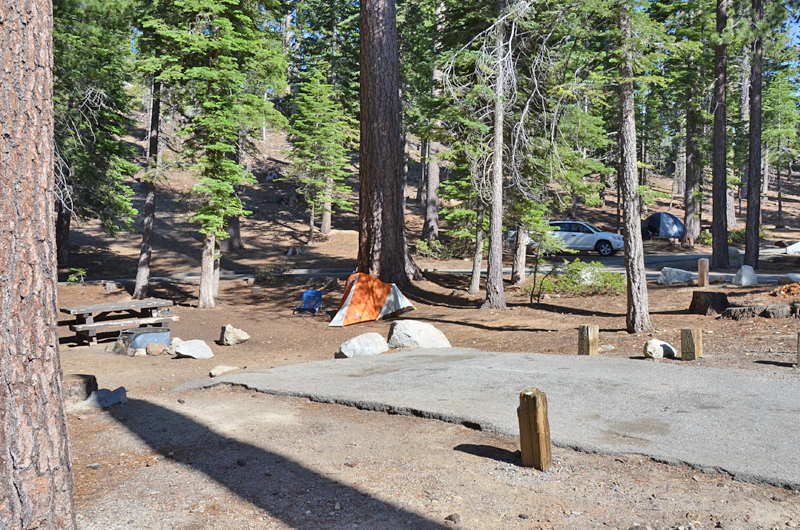 Bayview Campground is rather small with 12 campsites that are on a first come, first serve basis. It is a single loop road that takes you back to the parking area to the Bayview Trailhead entrance and parking. 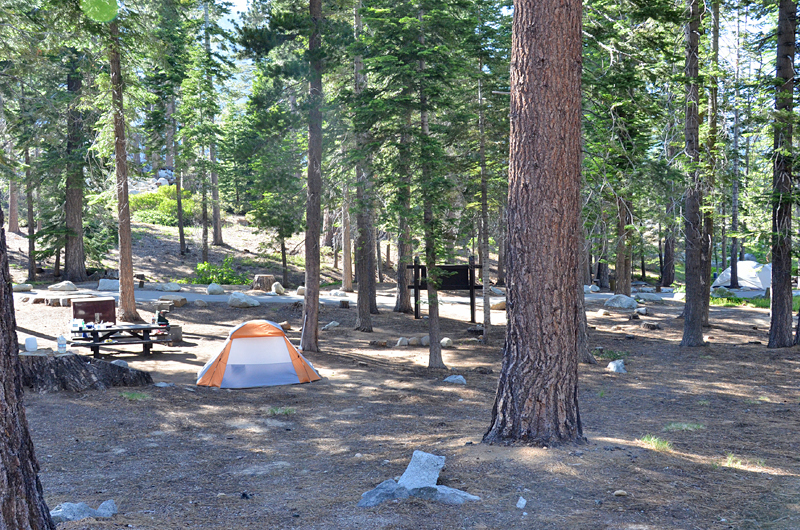 This can add to extra traffic in the campground, but at night it should be peaceful. Take a chair over to the bay side and watch the sunset! 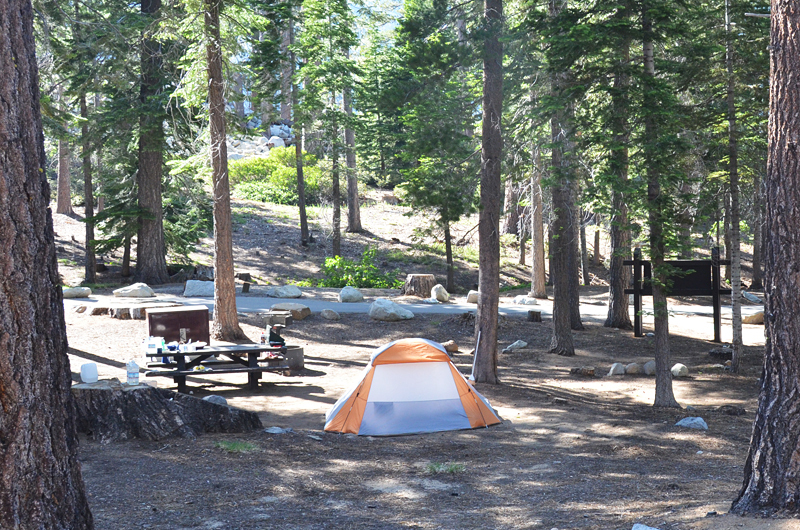 The campground is very pleasant with large tall pines providing shade and granite boulder outcroppings that add the dramatic mountain setting. 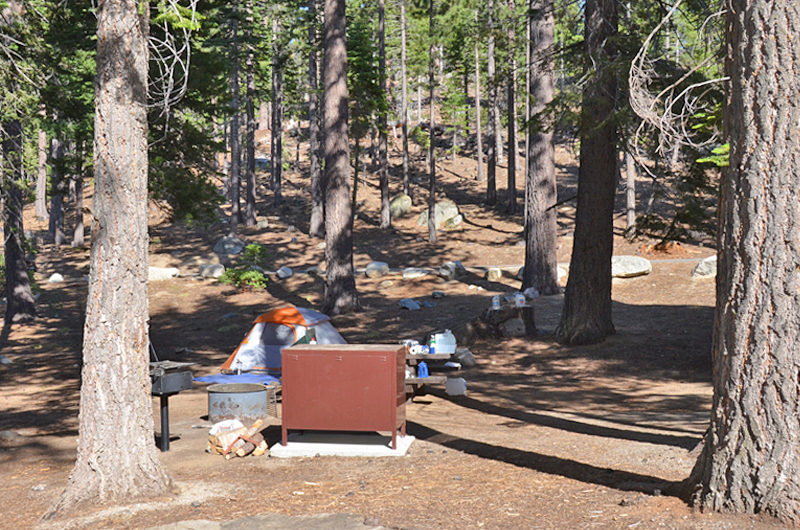 Picnic tables, standing BBQ’s and food storage containers provide with each campsite. Your close to Emerald Bay and Vikingsholm Castle trailhead as well as access to many other local South Lake Tahoe hiking trails. 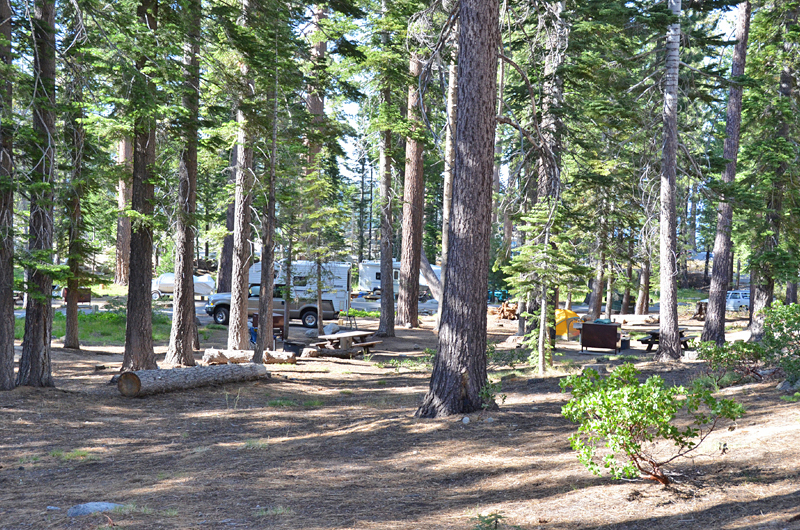 Preview several other South Lake Tahoe camping and RV parks nearby to Bayview Campground. 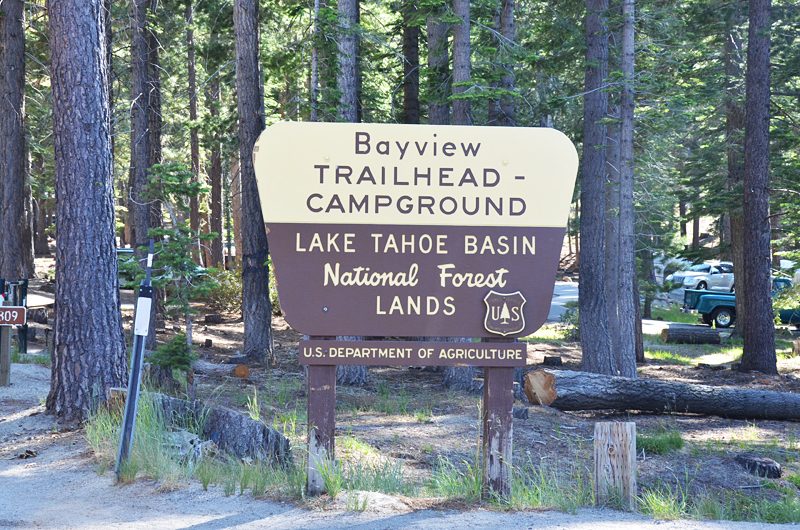 Directions: From the “Y” area in South Lake Tahoe, drive 7.7 miles on Hwy 89 towards Tahoe City and look for the Bayview Campground sign on your left.